Our cabin feels rustic nestled in a dell in Betty’s Creek Valley. Entirely made of logs, cathedral ceiling, wood floors throughout and the walls are mostly wood. 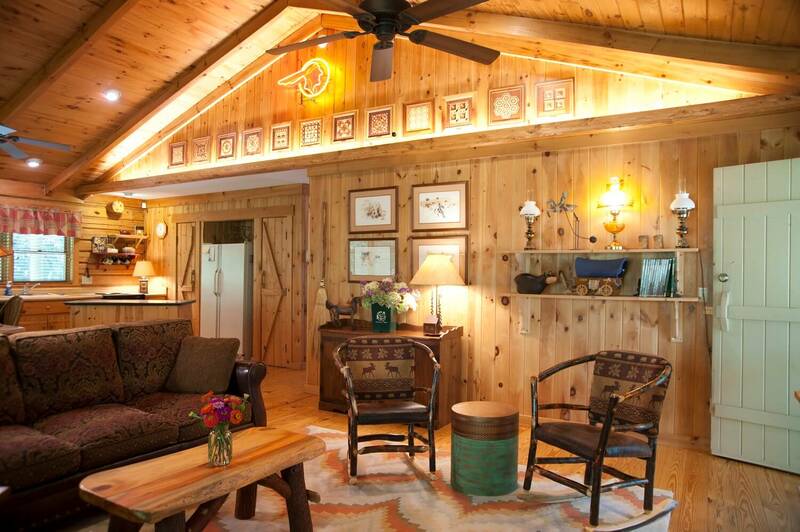 You will also quickly notice the luxurious touches that make this cabin steps above the average vacation rental. 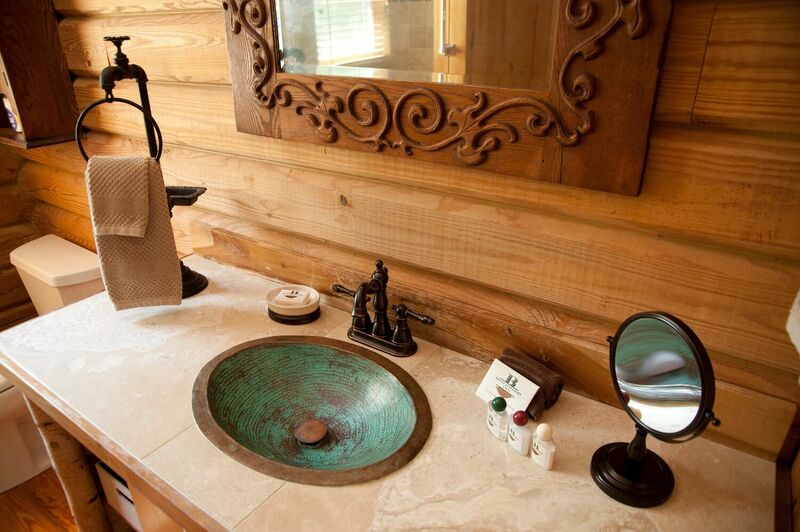 Enjoy the cabin’s exquisite décor and wonderful antiques. This is the getaway you’ve dreamed of. Get up early and enjoy morning coffee outside on your porch looking at nature at its best or take a walk down to Betty’s Creek, offering some of the purest water in North Georgia. 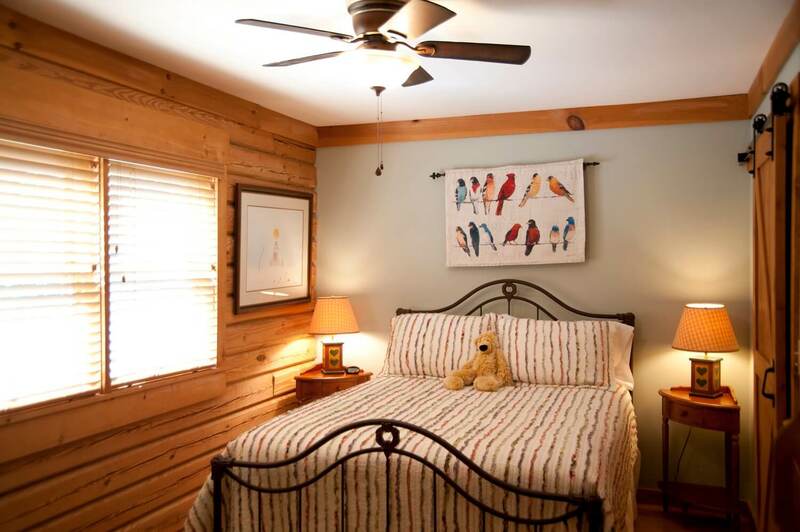 Or sleep late in the comfy, handcrafted beds and enjoy Beechwood Inn’s 600 thread count sheets. Maximum Occupancy – 4. Children 12 or over are comfortable at our cabin. Sorry, no pets and no smoking. Our Luxury North Georgia Cabin Rental is $225 per night for week-nights and $250 per night for weekends and holidays. Two (2) night minimum on all stays. Holidays and October additional minimums apply. Lodging Tax and sales tax apply. All rates are for 2 to 4 guests per night. We require a $250 fully refundable damage deposit, a signed contract plus an $85.00 Cleaning Fee. 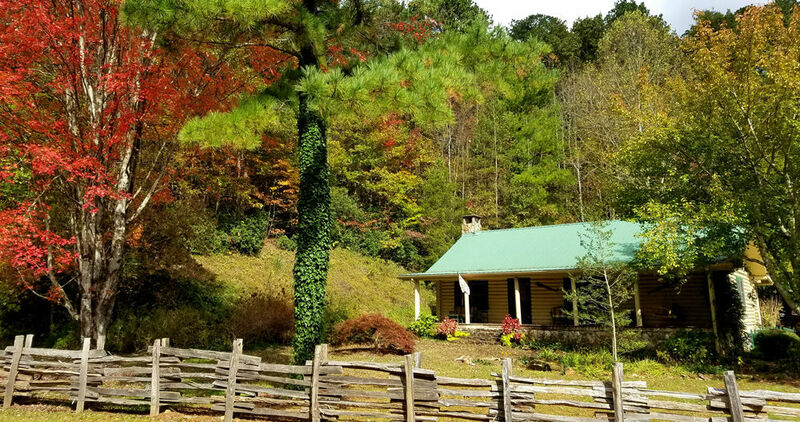 This North Georgia Cabin Rental is provided as a Vacation Rental (it does not include breakfast at the inn, wine-thirty or daily housekeeping). 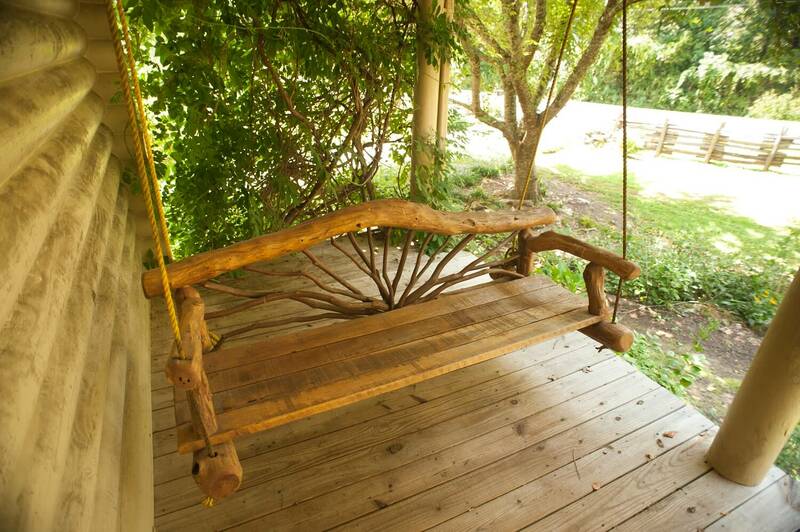 It is located 10 miles from Beechwood Inn. Innkeepers David and Gayle make Betty’s Creek Cabin available for special guests and visitors seeking an escape, an intimate visit, or wanting to get closer to nature. Betty’s Creek Cabin is on Betty’s Creek Road near the Hambidge Arts Center and is just a short walk to the Baptismal Hole on Betty’s Creek. The cabin has 2 bedrooms (1 King, 1 Queen), Fully Appointed Kitchen (just bring your own food), 2 full bathrooms, working gas fireplace, HVAC, paved parking, gas grill, washer and dryer, front and back covered porches, porch swings and picnic area. Betty’s Creek Cabin also features Beechwood Inn’s free WIFI, high quality sleep systems, Sirius Music, Verizon Cell Phone Extender, jet tub, wide screen satellite TV, refrigerator/freezer, dining area and great views. Nearby National Forest Land offers miles of hiking, fishing and recreation. As guests of Betty’s Creek Cabin you enjoy many of the amenities and special packages available to guests at Beechwood Inn. You may take cooking classes (at a discounted rate), enjoy spa treatments, enjoy dinner at the inn, schedule a wine tasting, take a tour of local wineries, partake of a private chef dinner or even get married. The inn and its staff are happy to arrange these special packages for you. Just give us a call at (706) 782-5485. Extended Stays: $1,400 per week, Monthly rate $6,000 (October is more). This Cabin does not include daily maid service or breakfast at Beechwood Inn. 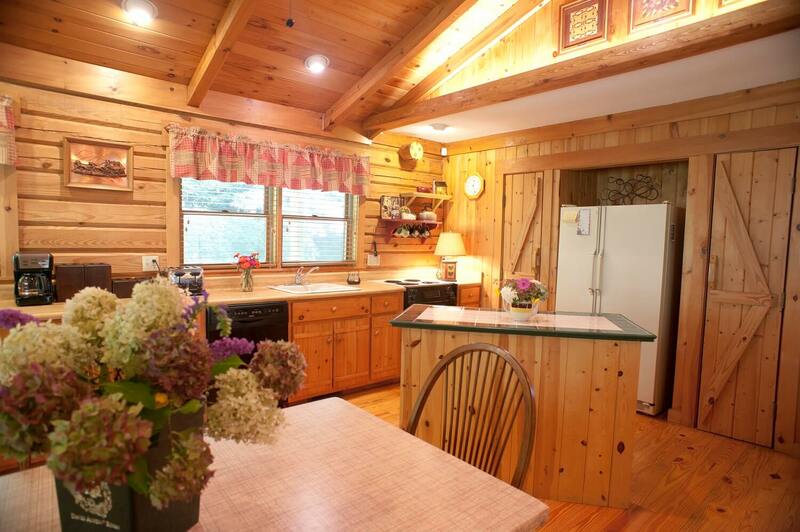 To rent Betty’s Creek Cabin call us at (706) 782-5485, or proceed to online booking.